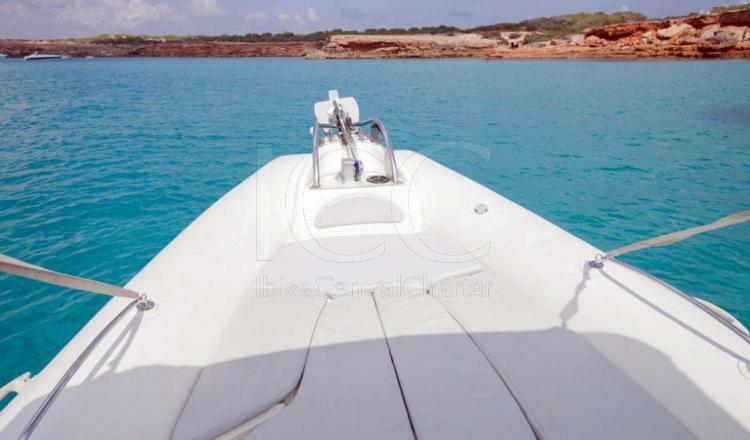 The Zodiac Medline Pneumatic is a boat of 7 meters and a half comfortable and light with which to visit Iniza and Formentera islands will be easy and fun. 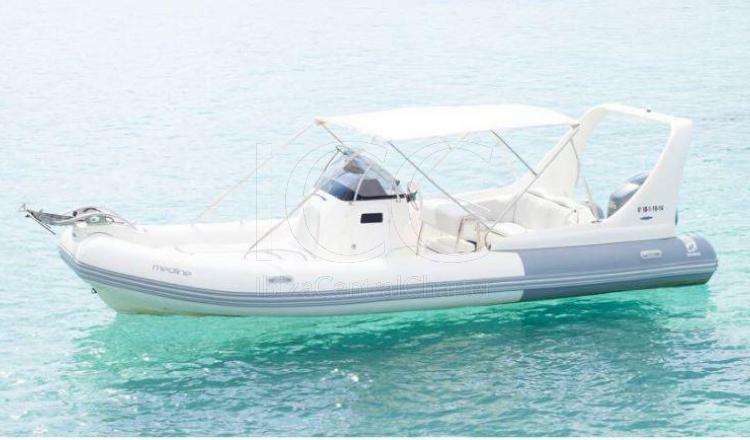 This rib boat is perfect for sunny days in the Pitiusas, it will take you wherever you want with comfort and safety. The Zodiac Medline III has a solarium in perfect condition, for reading, sunbathing and even sleeping. At the back there are comfortable sofas and an outdoor table that allow you to enjoy a place where you can enjoy the spectacular views of the islands of Ibiza and Formentera. The control area ensures an optimal driving with the seats that allow you to be in the same place as the ship. 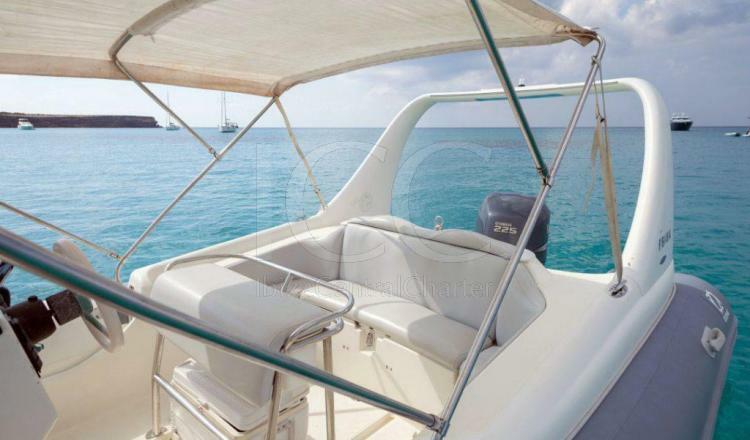 This boat offers ample storage space, as well as a complete toilet. 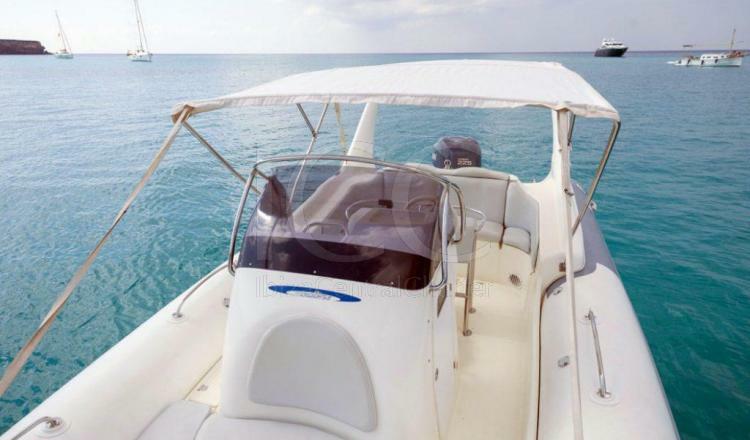 The capacity is 12 people and its design allows enough space for everyone.